Mary + Cole met up with me in the Ansonborough area for their engagement session right before Thanksgiving. It was the perfect start to the holiday! Our time strolling down Anson Street was filled with so much laughter! There were so many favorites, it was so hard narrowing it down to just a handful. 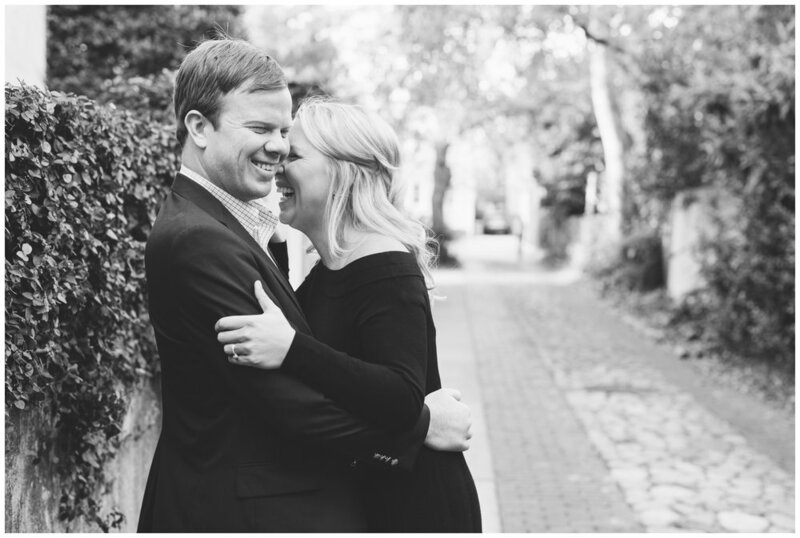 Their wedding will take place in June at The Thomas Bennett House, one of my favorite venues in Charleston! I can't wait for their day and to see what the ladies of Elm Events have in store!